Parents guide their children because they only want what's best for them. But in doing so, sometimes parents can appear manipulative and controlling. A great example of this is when parents try to intervene in their child's relationship, even though he is already at the right age. 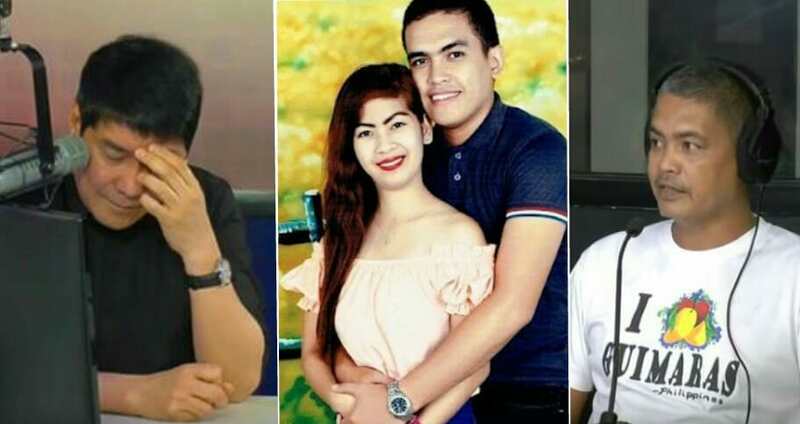 For fear that his son will not graduate on time, a father named Arnel Manuel sought the help of Raffy Tulfo. During his interview on "Wanted sa Radyo," Manuel claimed that his son Arvin is a seaman who is due to graduate in a few months' time. However, his ex-girlfriend, Jenny Calma is being a 'distraction' from his son's success. Apparently, Arvin's girlfriend is convincing him to marry her. If this continues, Arvin will lose his chance to get on board and work as a seaman. Manuel, concerned for his son's future, decided to intervene and talk with Jenny on air. However, Jenny dropped a big revelation. Jenny claimed that the reason why Arvin broke up with her is that she's pregnant. In spite of her protests, Arvin proceeded to block her on social media. He even refused to talk with Jenny's parents when they came to visit in Arvin's house. Furthermore, Jenny claimed that she is not distracting Arvin from his studies. In fact, they have lend money to Arvin's parents on several occasions. After hearing this, Raffy Tulfo couldn't help but castigate Manuel and his son for having the audacity to complain about Jenny's family.